In my family, I’m known as the “other” baseball fan. My brother Woody, who’s 10 years older than me, had already set the bar pretty high by the time I was even born. I’m not complaining, mind you. I’m bragging. Woody was born in Cooperstown, NY at the end of the second World War (my Mom was raised in Cooperstown, and we spent our summers there as kids) and he’s been thinking and breathing baseball ever since. In Sunday School, he invented a game with the other kids called “Bible Baseball,” in which you had to open the Bible to a specific book within three tries. Each failed try was, of course, a strike. Three strikes and you were out. In 1958, Woody began playing a game called APBA, or American Professional Baseball Association. In APBA, you play a simulated baseball game based on dice rolls and specific player, pitcher and situation cards. Needless to say, Woody took to APBA like a duck to water. APBA cards are the essence of baseball; they are baseball logic made explicit, there for the eye to see and the mind to comprehend. No computer simulation game, with its hidden code and logic, can impart so much understanding. When you play a game, you roll two die as your “chance” mechanism, then you look up the number on the player’s card. Next, you interpret the number according to the pitcher and game board. It sounds complicated, but it’s the complication of baseball. Going through the steps is an education. Of course, once you’ve played for awhile, the games go really fast. In addition to the batting cards, APBA grades fielders and pitchers. A “BXYZ” is one heck of a good pitcher, and the actual interpretation of the batter’s card depends on the pitcher he is facing and the quality of the fielders. Plus, there are game boards for each of the eight base situations (empty, runner on first, etc.) and the interpretation of the roll can differ by situation as well. The Strat-O-Matic model, in terms of consistency, is an improvement over the APBA model… On the other hand, something is lost as well: the interaction between pitcher and batter is not taken into account. In APBA Baseball, the effect of the pitcher depends on how his characteristics (defined by the pitching grade) interact with those of the batter (defined by his batting card). Once he started, Woody played APBA with a vengeance. One summer when he was a camp counselor, he decided to play APBA his entire day off. 24 straight hours. He managed to play 61 games. Included in the APBA game set is a dice shaker, consisting of a small cardboard tube with a metal bottom. Rattling the dice in the shaker yields a distinct sound, one I remember falling asleep to many times as my brother played the game in his room. It actually got really loud in our basement, where Woody and his friends played APBA every Friday night. There was no continuous ownership at that time. They just picked their favorite teams and played. In 1960, a few of them decided they wanted a league with continuous player ownership, trades and the like, and they established the North East League (NEL). When they went off to college, they wanted to keep playing together, so they established rules for playing APBA by mail, creating the first play-by-mail baseball fantasy league. Keep in mind that this was many years before anyone had ever heard of rotisserie baseball. I mean, Kennedy was president. It worked so well that the NEL is still going strong today, 43 years later. And Woody is its sole charter member. He has literally never stopped playing APBA. This has made Woody a minor legend in APBA circles. He sometimes gets asked if he’s the “real” Woody Studenmund when he runs into other APBA devotees. Over his 43 years in the NEL, he has won 3,852 games, at a .614 clip, including 14 NEL titles. Amazingly, five of the current twelve members have been in the league for over thirty years. I asked Woody for the secrets of the NEL’s success. The NEL conventions have kept the league strong. The league members come from Canada, California, Michigan, Wisconsin, New York, New Jersey, Illinois, and Connecticut, we get together once a year for a live convention, and we’ve had a convention for something like 40 straight years. Some years, we have 100% attendance, and other years we go beyond that, with former and prospective managers chiming in. The friendships are amazing. Somewhere, and I’m not sure that I can put my finger on it, we stopped being angry competitors and began really caring about each other. Ken Meyer, for example, was in my wedding. Woody likes to play in other APBA leagues as well. In one of those weird, small-world coincidences, I found out that Rich Lederer actually played APBA with Woody for five years in the 1970’s. I recently asked Rich for some recollections of playing with Woody. 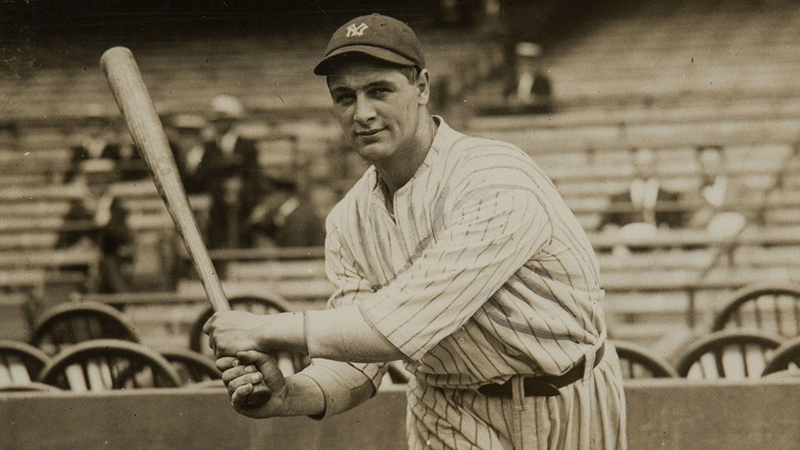 Playing Woody was like going up against the modern-day Yankees. I distinctly recall Woody drafting Bobby Bonds, Cesar Cedeno, and Reggie Jackson the first year — perhaps the three best power/speed combos in all of baseball back then. He also had Johnny Bench and Bobby Grich to boot and had this 19-year-old kid on his team by the name of Robin Yount. You had to be on your toes when talking trade with Woody. I had the utmost respect for him, and I learned a lot about not only APBA from him but how to judge players in general. I saw how he built his teams on power, speed, and walks. His player cards rarely had “7s” on them. That was the one “singles” number that even the best pitchers had trouble stopping. Instead, Woody emphasized players with 1s, 5s, 6s, 11s, and 14s. A “1” was always a HR and a “5” was more often than not a HR with runners on base. A “6” was a double. An “11” a single and stolen base (it acted almost as powerful as a double in APBA), and a “14” was a base on balls. Along the same lines, I remember bragging to Woody about a great young shortstop the Mets were bringing up named Teddy Martinez. Martinez was a good fielder who had hit for average in the minors. Woody asked me, “What does he do?” I think my reply was a blank stare. Do? Why, he could field, and he hit for average. The reports were good. What else was there? Woody said “Does he steal bases? Does he hit home runs?” I replied that no, he didn’t, and Woody quickly lost interest. I didn’t fully understand it at the time, but I had just received a vital lesson in sabermetrics. Before the Internet, I used to contact players directly to find out information. When Joe Morgan hurt his knee early in his career, I wrote him to ask if he was going to be able to steal 20 bases a year (so he’d get an “11,” a crucial number in APBA), and he wrote back and said no problem. I traded Pete Rose and Willie McCovey for Joe at the height of their careers, and I never regretted it. I also wrote Billy Martin when he was the manager of the Twins to encourage him to play Harmon Killebrew at third for one game (and he did, allowing me to play Killebrew at third for an entire season until the league changed the rules), and I called the Phillie front office when I was having trouble deciding whether to trade for Mike Schmidt. They said that the ball just jumped off his bat, so I traded Vida Blue, Carl Yastrzemski, Graig Nettles, and a ton of cash [think draft choices] for Mike, and I never regretted it, either. Mike Witt’s perfect game was my biggest thrill. Back twenty years ago or so, I owned Mike Witt, and in his last start I’d calculated that he needed to pitch a shutout with zero walks to get a BZ pitching grade. I listened to the game on the radio and hung on each pitch as, amazingly, he pitched a perfect game! For reasons I can’t explain, I’ve never quite taken to fantasy baseball. Never played in a league and never wanted to. But I do understand and love APBA. In March of 1970, I replayed the 1969 Mets’ season, just to enjoy it again. I find APBA cards as nuanced and informative as a box score. And sometimes, late at night, I think I hear the sound of dice rattling against metal, signalling that all is right with the world. The 2004 NEL convention is being held this week. We’ll let you know how it goes. “Curve Ball” is an excellent book about baseball statistics. I highly recommend it. What a nice way to honor your brother. Also a nice way to bring out the joys of playing a game.